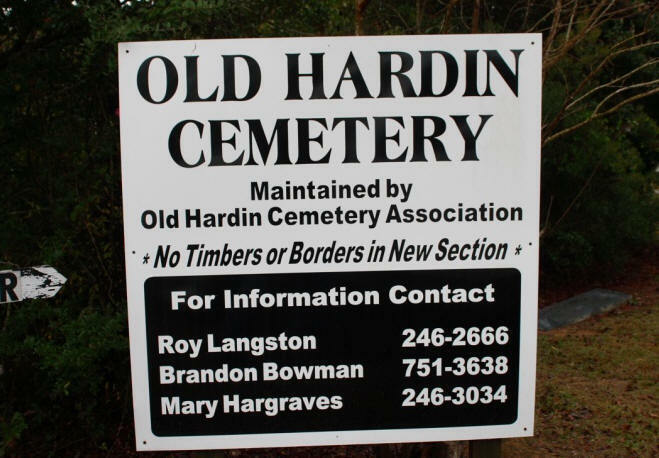 Old Hardin Cemetery located 2 miles west of Kountze on highway 326, sign on highway. All rows are numbered east to west and spaces numbered south to north by sections. See map to identify location of sections. The deed which donates the cemetery site to the public was dated November 17, 1904. 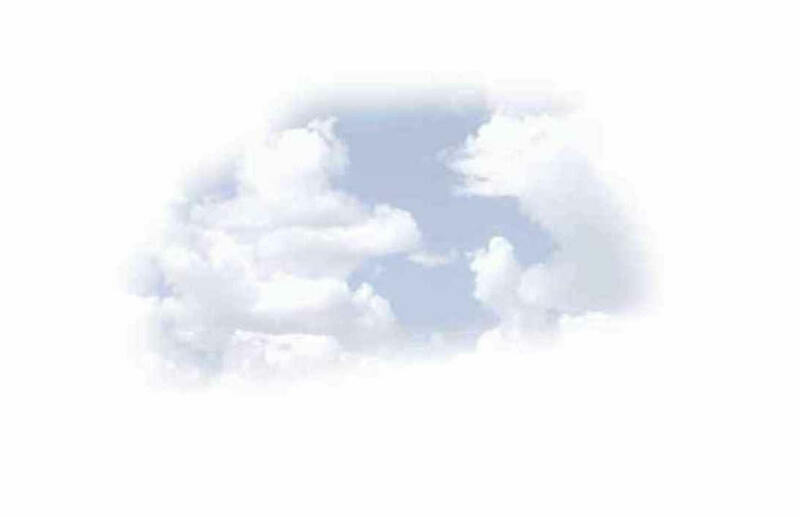 It was filed for record on the 27th day of January 1905 and recorded on May 19, 1905. It is recorded in Deed Record Volume 33 pages 604 and 605. The first burial was Jane Elizabeth Mitchell, daughter of Murphy and Elizabeth Taylor. She died on September 17, 1872. 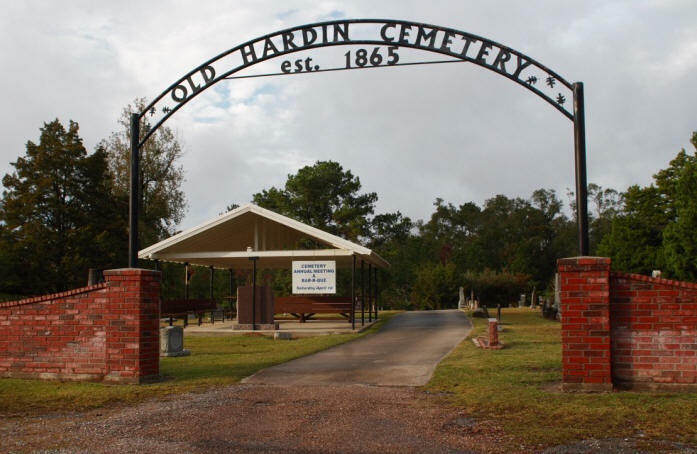 A word of recognition is needed to the Hardin County Genealogical Society. This goup compiled the initial 1999 survey. Without their initial hard work and compiled documentation, this update would not be possible. duplicate stone, incorrect spelling of Brackin; see correct stone and burial on Row 5,#13. age 66 years wife of E. H.
FENCED AREA - 35 X 50 with 13 graves. Rows are numbered east to west, spaces numbered south to north.